We are a leading Manufacturer of ladies sandal, designer ladies slippers, pu ladies slippers, elegant ladies slippers and ladies fashion footwear from Delhi, India. We are counted amongst the well-known names in the industry, offering an exceptional range of Latest Ladies Sandal that are light in weight and are durable. Our entire product range has excellent flexibility and is offered with standard sizes. Slippers are comfortable yet elegant in nature. We test them on varied parameters before the final delivery. 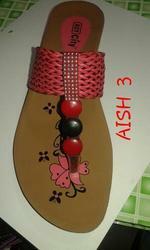 We bring forth for our customers best and most excellent quality array of Designer Ladies Slippers. 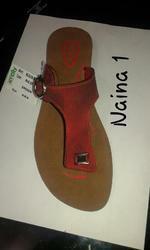 This offered Chappal is designed especially for ladies. They are produced with the assistance of modern tools and tools. This footwear is designed by ladies. They are light weighted and water proof in finish. They are available in many sizes, colors and design. Being a market leader of this domain, we present clients with the superior quality of PU Ladies Slippers. Available with us in various colors and designs, the PU ladies slippers are designed in accord with the latest market trends. Owing to their contemporary design and appealing appearance, the PU ladies slippers are highly demanded. 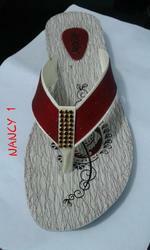 Counted as first among the best, we provide clients with the premium quality of Elegant Ladies Slippers. Valued for their contemporary design and distinctive appearance, these PU ladies slippers are highly comfortable to wear. 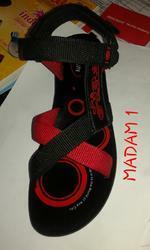 The ladies slippers are available with us in various colors, designs and sizes, in accord with their precise needs.